Keeping a blog going with good content isn’t easy. Even if you keep your editorial calendar up to date (ahem!) there are always times when your priorities are elsewhere, you know you’ve got a big job coming up or you just need a break. This is one reason why it’s worth having others post to your blog. I don’t mean you have to give them access to the Dashboard (although if your blog turns into a team effort, it’s easy enough to do that while still maintaining control). It’s more a question of receiving someone else’s material and posting it up, with an introduction from yourself. Occasional guest bloggers will usually do this for a byline and links to their blog and social profiles. 1) A personal invitation is a good approach. Start with other writer friends you know, whose style you like and who you think would have something to say of interest to your blog readers. They don’t have to be bloggers themselves, but they should have something new to offer – perhaps a niche expertise or a different background to you. 2) Target your best commenters. If there is someone who comments regularly on your blog, and has interesting opinions, you could ask them if they’d like to write a guest post expanding on something they’ve written. 3) Go through your social contacts. I’ll bet there are people you interact with on Twitter who would make great guest bloggers. 3) Don’t just limit yourself to writers. What related topics might your readers interested in? What about a post about book cover art, or the historical period you write about, or a popular library or research facility? There will be specialists in all these areas who could write something fascinating and different. Think about other media. If you rarely post audio or video, for example, there might be a guest blogger who could do that, providing something new and fresh for your readers. Be professional and organised – when someone agrees to write a guest post, make sure you’ve established what’s expected on both sides. Are you offering byline & links plus exposure to your audience, or some other form of compensation? Are they providing a copy of a book or other gift for you to run a prize draw for readers? Provide a deadline for receipt of copy, a preferred word count, and either establish a topic up front or let them know they have a free rein. Do you want them to provide images to go with the post? If so, what size should they be, and do you also require captions? Are guest bloggers expected to monitor and respond to comments for a day or two after the post goes live? If your blog is busy and receives lots of comments, be sure to ask them to. One of the benefits of having guest bloggers is that it takes some of the workload off you, but if you have to spend two hours fielding comments that kind of defeats it. Make sure you promote the post in the normal way and publicly praise/thank your guest for their piece. Are guest bloggers expected to share the blog post with their social networks, or promote it on their blogs? Again, one of the reasons for inviting guests onto your blog is to increase its exposure to new audiences – namely the guest blogger’s own social networks. So worth asking, although it wouldn’t be good to insist. It’s unlikely someone would not want to do this, but they may need nudging. These are just a few guidelines to get started with guest bloggers. The ‘deal’ you strike is more likely to be relaxed and friendly than formal. However, as your blog grows in popularity you may start getting actively approached by people wanting to guest on your blog, and that’s when a guest blogging policy is a good thing to have. Start by creating a ‘Write for Us’ page or a paragraph on your ‘About’ page that sets out the terms for potential guest bloggers. If you find guest blogging works, and some guests become regular writers, you will almost certainly need to start compensating them. But there are ways you can up their profiles before it comes to that – such as adding a headshot to their posts, an Author Box linking to their profile, and having a ‘Contributors’ page or sidebar feature where they are listed. Many large multi-author blogs started this way. And don’t forget you’ll probably find yourself guesting on other blogs too. 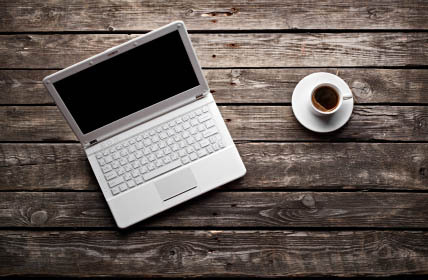 Guest blogging is sociable and rewarding. Have fun with it. Goodreads is a huge online community of readers, 25 million members and counting, but did you know there are over 100,000 authors in its Author Program? If you have published a book, even if it’s self-published, you can apply for an Author Page on Goodreads. One of the key pieces of advice I give writers is to connect with your readers, rather than just market to them. Social media gives us the tools to grow our reader base one person at a time, and where better to do that than within a ready-made community of readers? Here are six good reasons why you should have an Author Page on Goodreads. This starts with a ‘stand out’ Author Profile Page. Make sure you upload a professional headshot for your photo and fill in your biog (this doesn’t need to be any more personal than the biog on your book’s dustjacket). There are other areas of your profile worth filling in – it all helps generate interest in you and your work. Here’s a good example of an Author Page. You should also make the most of your book(s) by creating dedicated book pages. Essential is a book cover (but it can’t be changed once you’ve uploaded it – so don’t put up a dummy or ‘working design’ cover). Give some details about the book, maybe even an excerpt. If you are a new author this is your chance to ‘sell’ your book. Here’s an example of a book page. Either in the run up to publication, or once it’s out, a Giveaway can kickstart interest in your book and generate a spike in reviews and follower numbers. Only give away what you can afford to (and remember shipping costs – you can always specify which countries are eligible). Start and end on odd days – May 6th – June 5th, for example, rather than May 1st – 31st. That way there will be less competition when your Giveaway starts. Giveaways are listed on a special page and are very popular – and average 20 copy giveaway in the US attracts over 900 entries! People see the giveaways their friends are entering and often join in. It can be a good way to extend your reach into the Goodreads community. One of your aims as a Goodreads Author is to increase the number of reviews for your books, which starts with getting your books onto members ‘want to read’ lists. Every member has a newsfeed of activity, and friends’ activity shows up first. User-generated reviews are trusted, and when a member sees a friend’s review they’re more likely to have a look and place it on their ‘want to read’ list. Basically, reviews help other users discover books. And not just within Goodreads – millions of readers share their reviews on Facebook, Twitter and other social networks. You can display your Goodreads reviews on your blog or website, if you wish, which can not only support sales of your books but may also encourage your blog readers to join Goodreads and enrich its value as a community still further. There are umpteen special interest groups on Goodreads. If you’re passionate about your genre or a specific sector, join a group and take part in discussions there. This is slow-burn strategy for building your network, well worth it in the long term. But it’s important not to join groups in order to sell your book. They are for discussion, nobody there wants the hard sell. Another popular feature is ‘Ask the Author’. Once you start building a network of readers, open up for questions – you can set it for whatever period of time you wish, but make sure it’s a time when you’ll be around to answer the Qs. Take another look at Ayelet Waldman’s Author Page for an example of a ‘Ask the Author’ and the questions/answers it generated. It’s a great chance to answer individual questions, like a ‘meet the author’ session in real life. There are plenty of other ways to overtly promote your books, and one of the most obvious is targeted ads. 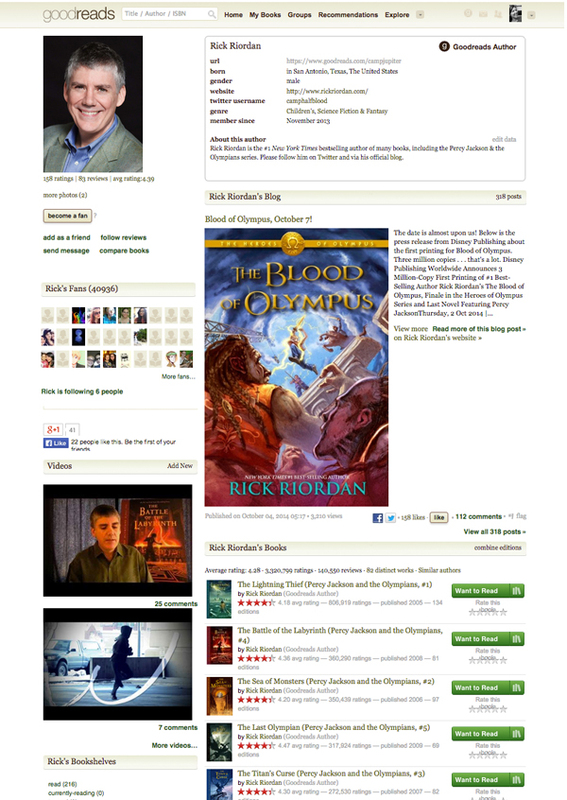 Ads on Goodreads run on similar lines to Facebook ads, in that you have control over how much you spend (pay per click), what the ads look like and targeting. Goodreads admin suggest broader targeting than on Facebook, because when you think about it you’re already targeting a niche – people who read and are interested in books and their authors. According to Goodreads, a Giveaways backed by ads increases entries by up to 200. Ads are an opportunity to extend awareness of your books outside your circle of friends and fans. Make sure you include a call to action, and check your stats before, during and after your ad campaigns. Has the campaign resulted in more fans, more ‘want to read’s, more reviews? All these activities are building your influence on Goodreads, helping more readers to connect with you and discover your books. Your books may get selected for site-wide exposure by being added to Listopia Lists and voted on by the community, or even featured in Goodreads newsletters. Both of these features brings you to the attention of more members and can thereby increase the numbers of fans, bookshelf listings and reviews for your books.